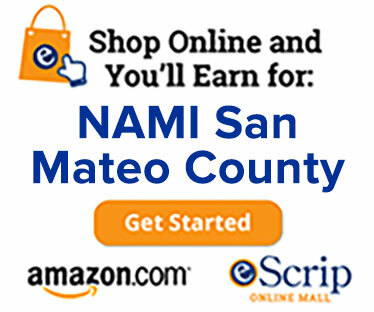 The San Mateo County Board of Supervisors enacted a law Tuesday that authorizes the courts to order outpatient treatment for individuals with mental illness. The unanimous vote to enact Laura’s Law “is an additional tool we can use to help people with serious mental illness live with dignity and purpose,” Health System Chief Jean Fraser wrote in a statement. Laura’s Law is state legislation approved in 2002 that requires counties to OK its implementation. It will fill the gap between placing an individual under a conservatorship and those who are not receiving treatment at all, Supervisor Adrienne Tissier said. Implementing the law will cost $1.3 million in 2015-16 and will jump to $2.4 million in the next year. Laura’s Law allows for court-ordered assisted outpatient treatment. To qualify for the program, individuals must have a serious mental illness plus a recent history of psychiatric hospitalizations, jailings or acts, threats or attempts of serious violent behavior toward themselves or others. Supervisor Don Horsley, the former sheriff who moved adoption of Tuesday’s resolution, said he viewed firsthand the positive outcomes of a program in which minor offenders were released from jail and ordered into treatment. “So, I know that when we have the ability to tell a mentally ill person that they must accept treatment or they will be ordered by a judge, most will voluntarily accept treatment. All the research then indicates that there will be a decrease in ER admissions, arrests and jail, suicides and acting out,” Horsley wrote in a statement. The county will also offer treatment slots to individuals who meet Laura’s Law criteria and voluntarily accept services. At full implementation, Behavioral Health and Recovery Services estimates at least 100 adults living with mental illness in the county could benefit whether the services are court ordered or voluntarily accepted. Laura’s Law is named after Laura Wilcox, a Nevada County mental health worker murdered by a psychiatric patient. Since its state passage, several counties have adopted the law including Orange, San Francisco, Yolo, Los Angeles and Contra Costa.